This was a quickie - unauthorised - TWIN PEAKS paperback published in the hiatus between the first and second seasons (that brief period when the show was still considered 'hot'). I believe it may have incurred the wrath of the show's producers and was - possibly - withdrawn from sale as a result. I found this copy in the long-defunct SF/ Comics store (ground floor and basement) near Leicester Square on London's Charing Cross Road. I don't remember too much about the shop but I believe it closed after a fire. I do recall it was pretty disorganised but could be relied upon for odds-and-sods that were illusive elsewhere. 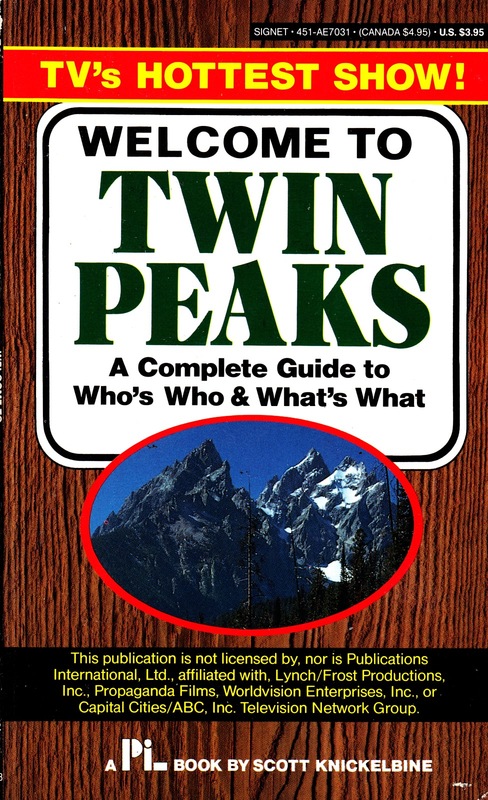 Including this book. Official TP tie-ins, which I'll try and cover in future posts, included the ACCESS GUIDE (faux travel guide to the town), LAURA PALMER'S SECRET DIARY (as featured on the show) and transcripts of DALE COOPER's TAPE (filling in some of the back-story in the period before he was despatched to investigate Laura's murder). Best of all were the actual audio tapes of Cooper's audio despatches to the unseen 'Diane'. 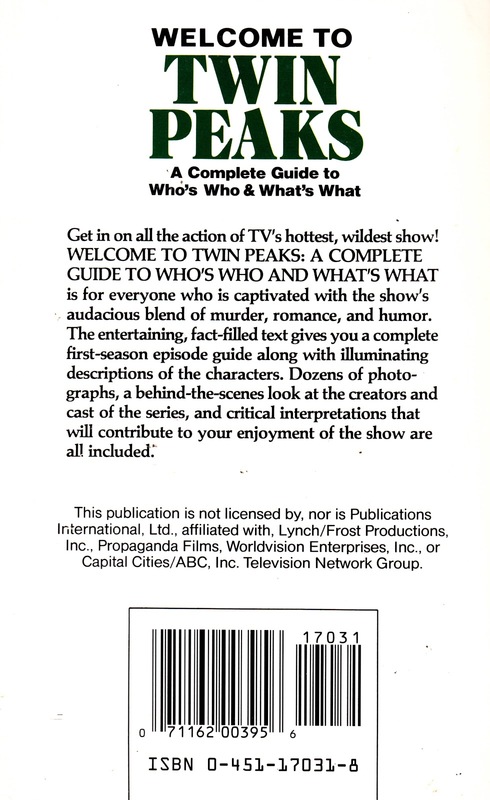 Long-running professional fanzine WRAPPED IN PLASTIC charted every aspect of the series and the wider Lynch lore.